Movie soundtracks take center stage as DVOC celebrates opera's great moments on the silver screen. Opera plays a supporting role in romance and comedy, action-adventure and drama, even cartoons! Come join the fun as DVOC explores these moving cinematic moments from films such as A Room with a View, Night at the Opera, Shawshank Redemption, Life is Beautiful and To Rome with Love. The afternoon's singers include mezzo-soprano Andrea Arena, tenor Taylor Arnold, mezzo-soprano Emily Byrne, baritone David W. Duke, bass-baritone Kevin Durkin, soprano Kirsten Kunkle, tenor Christopher Lorge, soprano Sharon Neff, soprano Elizabeth Oliver, and soprano Tracy Sturgis. Piano accompaniment will be artfully interpreted by John Dulik. Tickets can be purchased online, or at the door. All seating is general admission. ​Venice Island Performing Arts and Recreation Center is located at 7 Lock Street, Philadelphia, 19127. If you choose to park in the lot at VIPARC, please arrive 30 minutes before curtain. Celebrate DVOC's 40th Anniversary Season! All performances take place at Venice Island Performing Arts and Recreation Center (VIPARC), 7 Lock Street, Philadelphia, 19127. DVOC's mission is to offer a stepping stone for singers in the greater Philadelphia area, providing training and education through exposure to all facets of operatic production, and performance opportunities in a variety of operas. Additionally, DVOC is committed to making opera an affordable experience for all to enjoy. The primary focus of DVOC is its Summer Festival - three operatic productions in June, July and August. 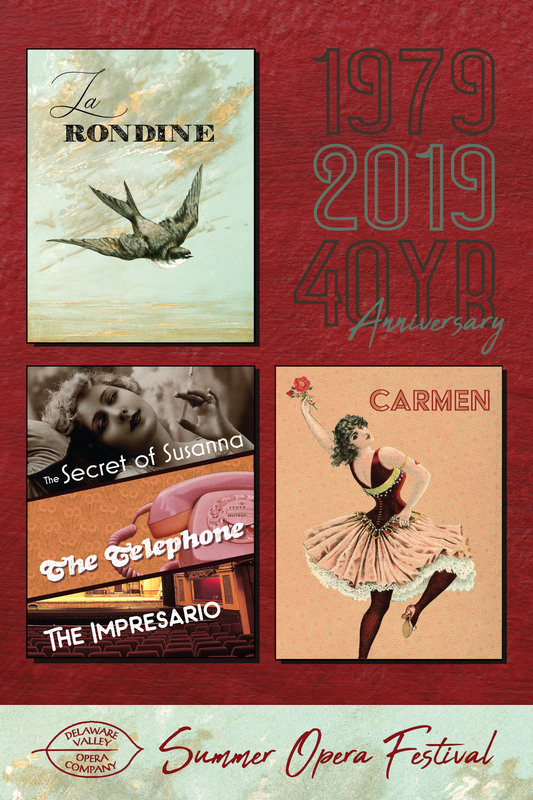 Since its founding in 1979, the Company has created hundreds of performance opportunities and presented over 100 fully staged operas and countless concerts. Stay up to date on all of DVOC's upcoming performances and news!